Sweet sweet bacon. Who doesn’t love those crispy, salty, savory strips? Add some sugary sweetness and extra crunch, and you have yourself slices of edible heaven. 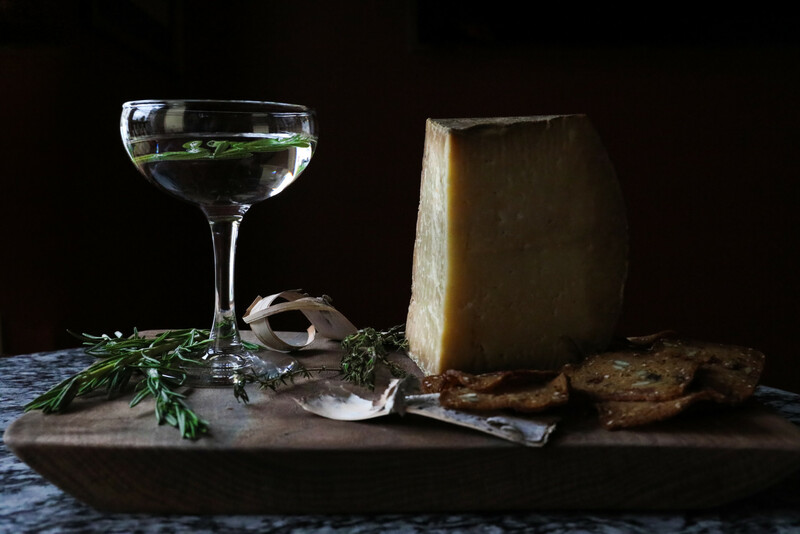 With Thanksgiving just days away, we’ve been dreaming about our own holiday spread. And it only makes sense for us to take cues from our daily breakfast guests. We’ve had our morning crowd dub the Pecan Sugared Bacon “better bacon” and “pork candy.” One diner went so far as to say she wanted to bathe in it (a little extreme, but complimentary nonetheless). 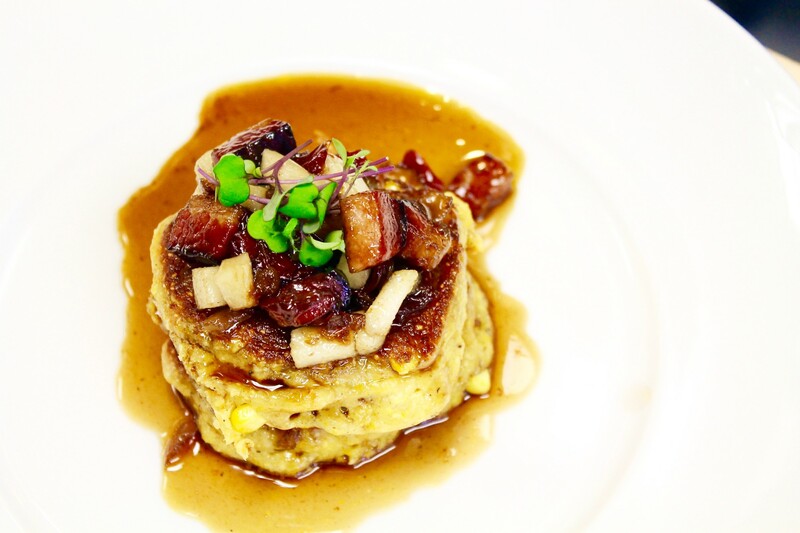 This praise undoubtedly has something to do with the unique combination of textures and tastes – soft meat with crispy pecans, salty bacon with caramelized sugar. What’s not to love? 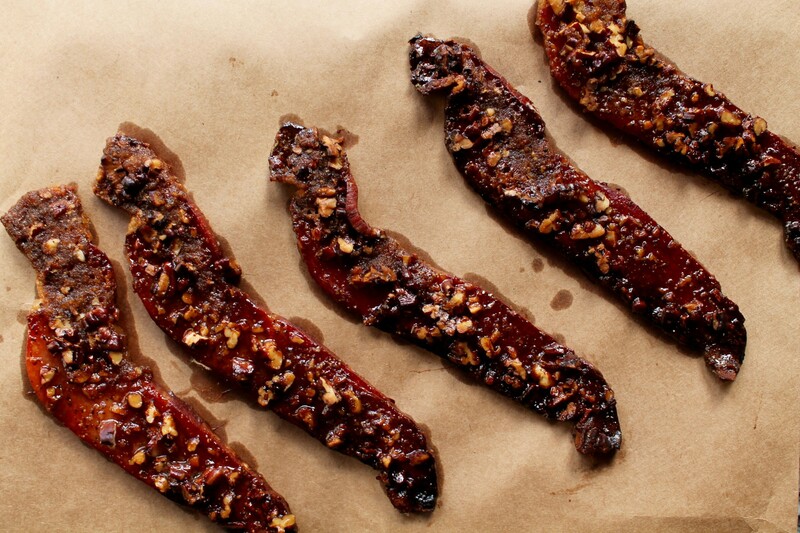 But it doesn’t stop there…we consider candied bacon incredibly versatile. 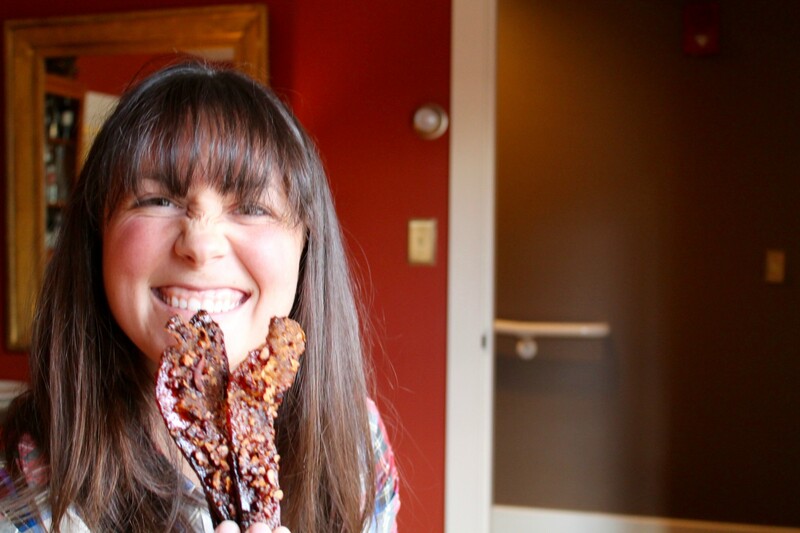 Think about it – pork candy can be served as an appetizer itself (we call this “pork bark”). Roughly chop to garnish your candied yams or brussel sprouts. Heck, you can even sprinkle pieces onto your dessert cake or cupcakes. 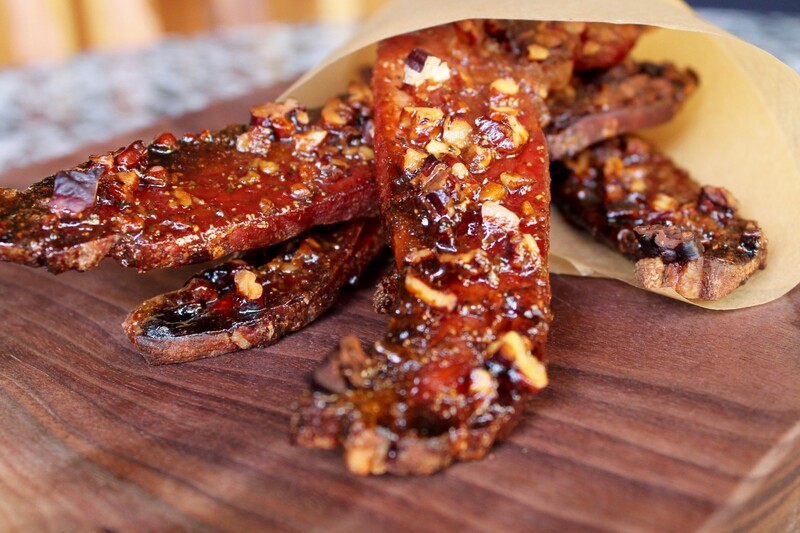 This bacon could work its way into every course this holiday season. A bacon feast. 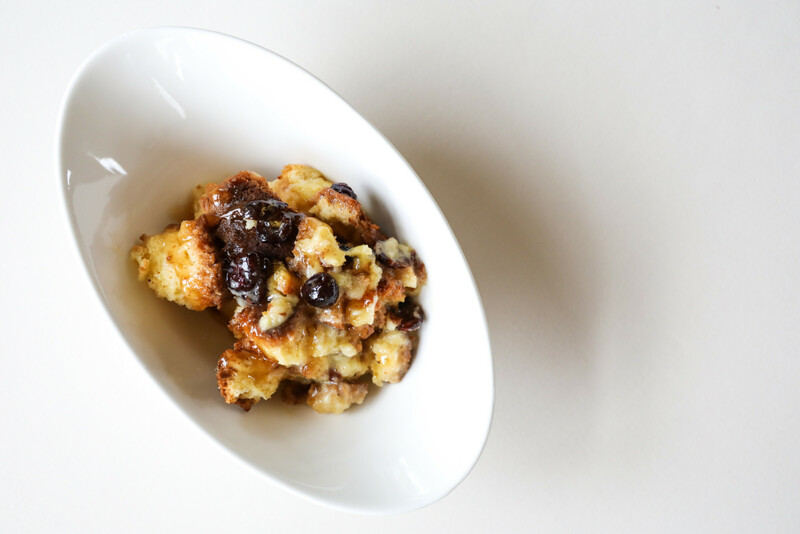 Let us help you up your Thanksgiving game by adding a little sweet & savory punch to your dishes. We promise it’ll be a crowd pleaser. Slather, crisp, and cool – the pork candy is calling your name. Preheat oven to 400° (preferably a convection oven). Hand chop pecan halves to a medium fine chop. 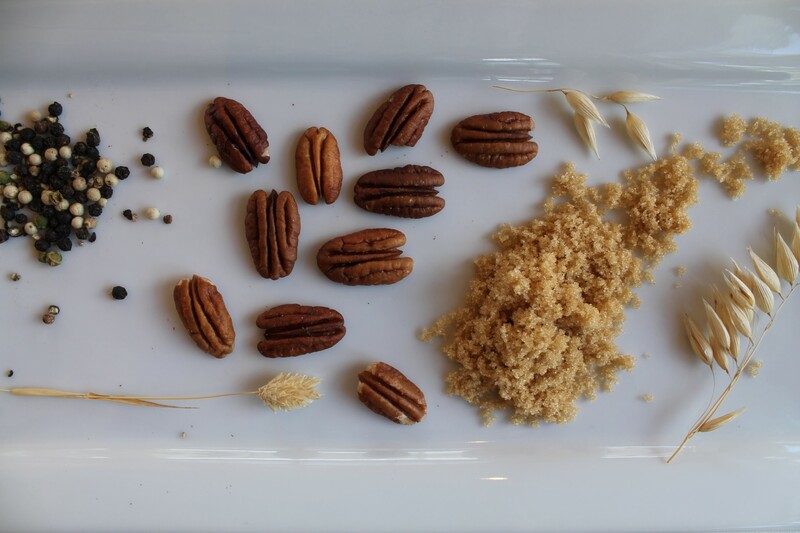 Toss with brown sugar to blend thoroughly. Add black pepper and mix until well incorporated. 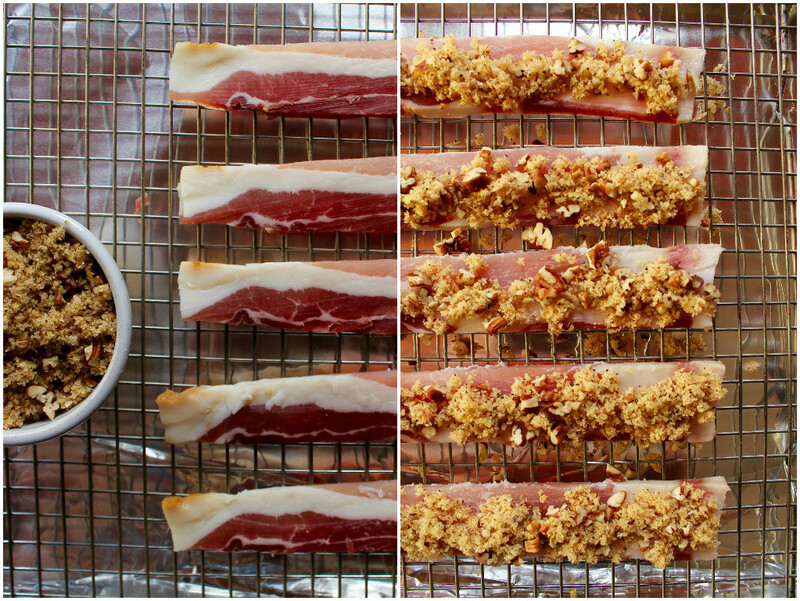 Place bacon strips on a wire rack in a foil-lined baking sheet (next to each other, but not touching). Spoon mixture onto each slice from end to end (approximately 1T of sugar mixture per bacon slice). Use back of a teaspoon to gently press the mixture onto the bacon. Bake at 400° for 12–16 minutes (perhaps 2–3 minutes longer in a non-convection oven). Timing will vary based on the thickness of bacon. Watch carefully toward the end of the time to prevent burning, which can occur very quickly. Remove from oven and let cool for 5 minutes. Transfer bacon slices onto brown paper (grocery bags work well) to absorb excess grease before serving. Let cool for 20 minutes to firm up a bit. ** Uncured or cured bacon will work, but it is best to use a local or artisanal smoked product as opposed to name brands. Trader Joe’s product from Niman Ranch works very well. Broadbent and Applegate are also great options.